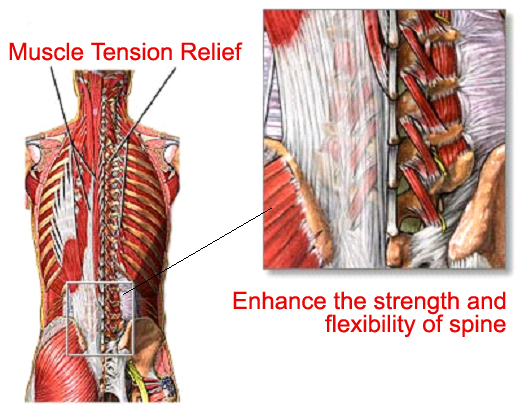 This is the first massage mat that is professionally designed according to the human vertebral physiological curve. 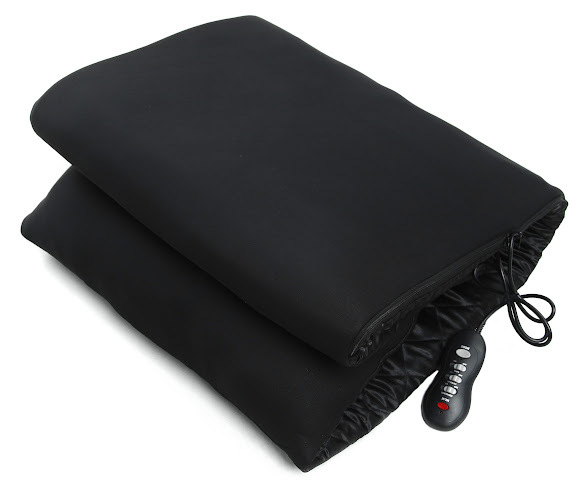 It is equipped with nine vibration massage motors and heating function, made of high quality silky-quilted cover. 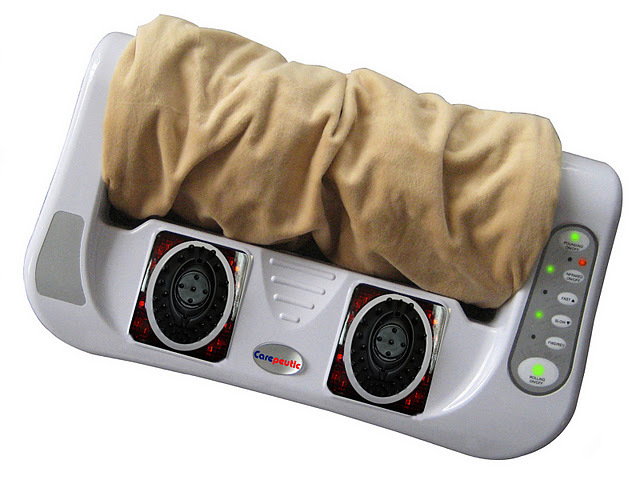 Ideal for use at home for therapeutic vibration massage, relief of lumbar soreness and tension relaxation, simply put it on soft surface or sofa to obtain whole body massage. 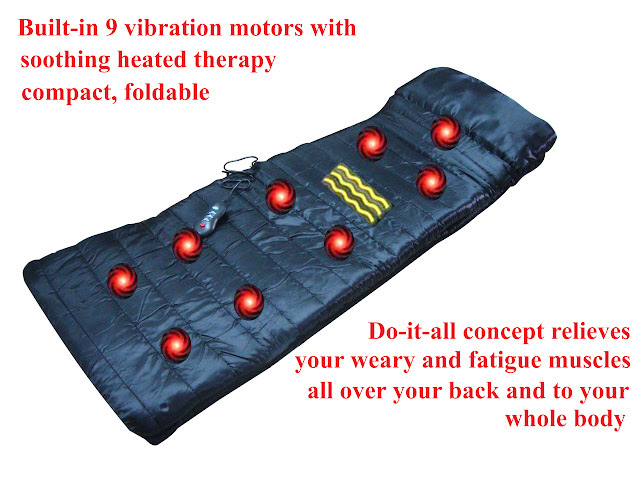 The Do-It-All concept relieves your weary, painful and fatigue muscles all over your back and to your whole body. The Do-It-All concept with its four massage zones allows you to massage your shoulders, upper back and lower back, legs and calves one by one or do it all at the same time. The nine massage motors with high and low intensities generate powerful and yet comfortable soothing massage all over your body and relieve your painful and fatigue muscles and improve blood circulation, it brings you enjoyable reflexology to your back and all over your body. Six massage programs with different cycling pattern of massage intensities. Pillow: 3 inches in height. Timer: 20 minutes. Auto shut off after about 20 miutes of use. 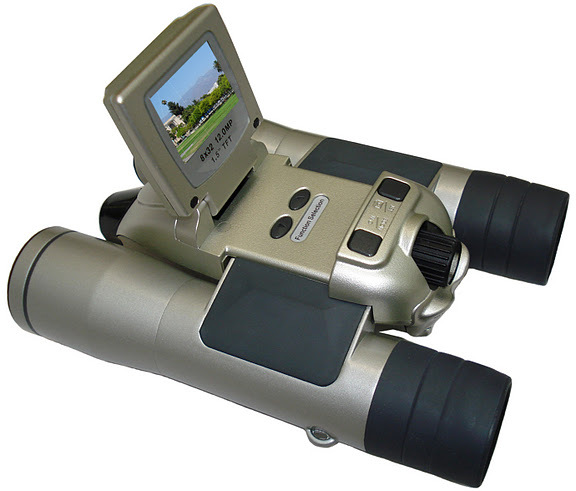 (15 minutes for version with oval shape remote). Overheat protection: Auto shut off when its temperature reaches 70 Celsius degrees.